Description: This brand new Kimber Hero Custom II is a semi-automatic pistol which fires the .45 ACP round. 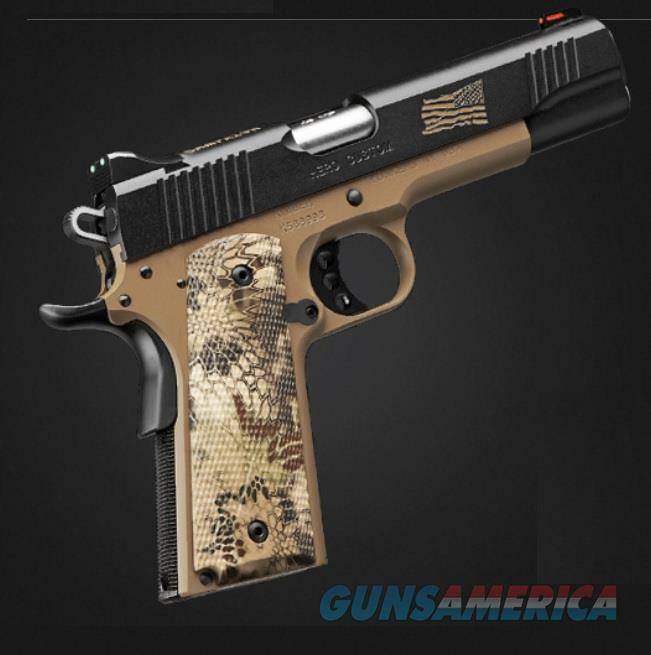 It has a 5" stainless barrel with FDE frame and matte black slide. This includes 1 7-round magazine, fiber optic sights, kryptek camo rubber grips, take down tool, hardcase, lock and manual.